We have stores in Manilva, La Linea and Duquesa Port on the Costa del Sol. How can I find out more about franchise opportunities with you? 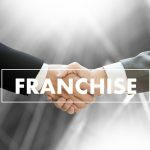 Where are you looking to franchise your stores? We are offering franchise opportunities on the Costa del Sol, the Costa Blanca, the Costa Brava, the Costa Dorada, Barcelona, Madrid, Seville, Valencia and all major Spanish cities. Do you receive parcels at your store? Yes! You can have your parcels delivered to any of our store’s addresses and we will contact you when they arrive. What size are your storage units? Our units are all different sizes. If you need more space you can rent as many units as you like. We will be able to advise you of the best way to store your goods when you contact us. How long can I rent a unit for? There is no maximum period for renting a storage unit. There is a minimum charge however, which varies depending on the volume of goods you want to store. With certain exceptions, you can store anything which is legal, as long as it is not perishable or inflammable. We reserve the right to refuse any type of storage if we see fit to do so. Who holds the key to my storage unit? Only you hold the key to your own unit. You can either provide your own padlock and key or purchase one from us. We have stores in Manilva, Duquesa Port and La Linea. Do I need to book a storage unit or can I just walk in and rent one? We always have at least one employee on site, but if you want to make an appointment to discuss your storage requirements please call in advance on 00 34 627 059 450. We can also help you determine the size of your storage and answer any related questions you may have. Once the rental agreement is signed you can start using your storage immediately. Can I see the storage unit before signing the rental contract? Yes of course, feel free to come and visit the store. How do I work out the amount of space I need? We will help you with that. Fill in the online free quotation form or call us for more information. Can I reserve a unit in advance? Yes, if you want a particular unit, it is a good idea to reserve it in advance. This will guarantee your unit is available when you want to use it. To reserve a unit up to 4 weeks in advance there are no reservation fees, but if you wish to reserve a unit over 4 weeks in advance, fees will apply. If I store furniture and other household goods long term will they remain in good condition? Our storage space is well ventilated and temperature controlled to prevent damp and subsequent damage to furniture, clothes and household goods. You can rent a unit for a long as you like, safe in the knowledge that your property will remain in the same condition it arrived in. How safe are my goods? Very safe. Our storage warehouse is secure and fitted with surveillance cameras on the inside and outside. We also have sensors, top of the range alarm systems inside and out and direct links with the police and fire brigade. You are obliged to insure your goods during the time they are stored with us. For your peace of mind we provide insurance cover (for flooding, fire and theft) while your goods remain in storage. We offer very favourable rates, and can advise you about the different types of insurance, depending on the value of your goods. How do I pay the rent to uStore-it? You can arrange a standing order, or give us authorisation to do this on your behalf. We also accept credit and debit cards. You will be sent an invoice monthly. How much advance notice is required for terminating the rental agreement? A minimum of 14 days advance notice is required. The rental agreement will include the exact conditions. 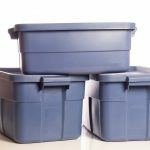 Can I change my storage unit if I need something smaller or larger? Yes we have a range of different sized units to suit your requirements. Call us directly on: 00 34 627 059 450 or visit the office. Is it possible to store golf clubs and sports equipment to use when we are next on holiday? Yes, no problem. If you want to store sports equipment, clothes, children toys and books or even your holiday car, boat or jet-ski we can help. Can uStore-it help me arrange transport to move my goods? Yes we can provide you with free van hire to help you move in. We have a wide range of packaging materials for sale including boxes, bubble wrap, labels, tape and much more. Can I get up close to the storage unit in my car/van? Yes you can pull into the loading bay to load and unload.